Competition! 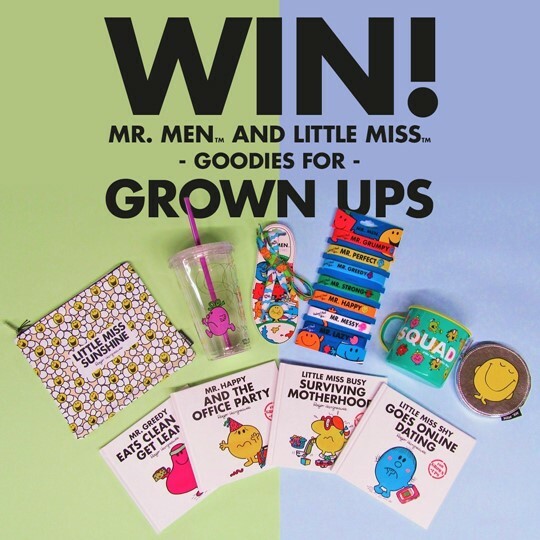 WIN Mr. Men Little Miss Goodies For Grown Ups! Competition time again peeps! Never missing out on the chance for a good old-fashioned comp, we’ve been working away to rustle up some amazing treats for one lucky TruffleShuffle fan to snap up and enjoy… just in time for Christmas too! This time we’re taking a trip into Misterland to catch up with some of the most iconic characters ever made. Packed with new adventures we’re sure many of you will relate to, take a peep at what’s up for grabs! 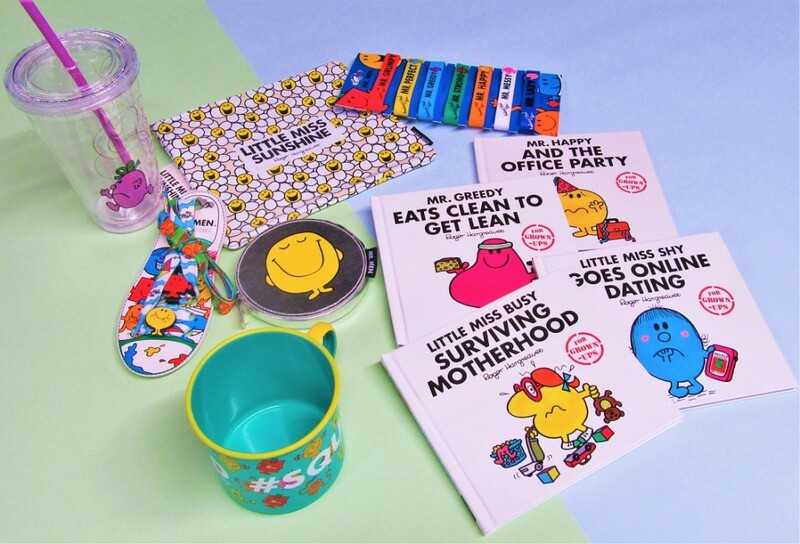 Teaming up with the amazing people at Sanrio who look after all things Mr. Men Little Miss, we’ve managed to get our hands on some exiting prizes which include some all-new books which were released just this month! 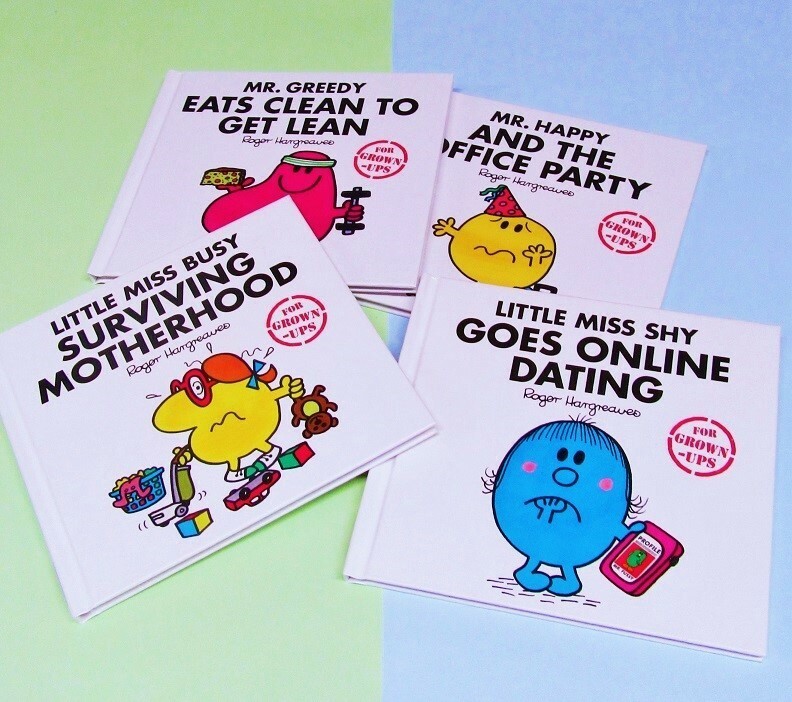 This amazing new Mr. Men Little Miss spoof series will cover a whole host of modern and ‘grown up’ topics such as online dating, clean eating, office parties, motherhood and more. Published on the 2nd November in stunning hardback retailing at £5.99, this fantastic new series is sure to have us laughing along to our favourite characters with each page just like the classics did all those years ago. The perfect gifts for any grown up Mr. Men Little Miss fans, we’ve managed to get our hands on a copy of Little Miss Busy Surviving Motherhood, Mr Happy and the Christmas Party, Mr Greedy Eats Clean To Get Lean, Little Miss Shy Goes Online Dating, Mr Happy Silver Coin Purse, Little Miss Sunshine Pencil Case, and a Little Miss Naughty Cup and Straw. Not only that! We’ve also thrown in some of our own goodies including some Mr Men Shoelaces, Mr Men Wristbands and a Mr. Men Little Miss #Squad Enamel Mug! Like many of our competitions, entry couldn’t be easier and there are a whole host of ways to get stuck into the action. The competition will close at midnight on Wednesday 22nd of November. After this time the competition system will no longer be accepting any further entries. Next PostNext Black FriYAY! 20% Off Everything Sale NOW ON!